Home Opinion Featured Articles Dear Martin Amidu, Did We Lodged Our Hopes In You In Vain? 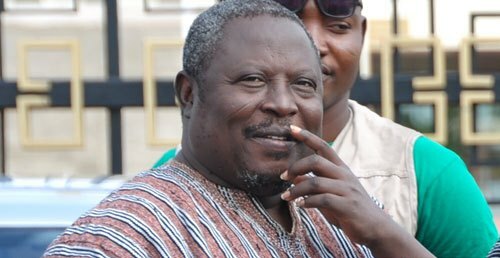 Dear Martin Amidu, Did We Lodged Our Hopes In You In Vain? There is no need going over or reminding you of the reason you were appointed into the office of the Special Prosecutor, because you were the first person to know. Unless of course you have forgotten, then I can brush through why the New Patriotic Party thought it necessary to establish the office of the Special Prosecutor from the tax payers’ money. Mr. Martin Alamisi Burnes Kaiser Amidu, the reason why you were sworn in as Ghana’s first Special Prosecutor was to raise an independent body to meet the challenge and occasion, collaborating with other state law enforcement agencies to help eliminate corruption in public life. Your duty if I must remind you is to investigate and prosecute certain categories of cases and allegations of corruption and other criminal wrongdoings, including those involving alleged violation of the Public Procurement Act, 2003 (Act 663) and cases implicating public officers and politically-exposed persons. Your office is also expected to reduce the work load of existing investigative agencies and there by enhance their effectiveness; as if they were doing the country any good to start with. But let pretend they are and also pretend that the Presidents intentions was to add up to the forces that would help fight and eliminate corruption in the country. To the public’s knowledge, these were the reasons why your office was established but after a year, you have not been able to prosecute or retrieve a pesewa for the country, is that right? Instead, corruption is taking different forms right under your watch and I doubt if you have the capacity and capability to properly investigate and prosecute any individual or organization. The New Patriotic Party promised Ghanaians that they are in to face corruption head on and it’s been two years since they assumed office and they are yet to provide any results or even shown signs that they are going to fulfill their political talk to Ghanaians. There have been instances where offices set up by the government to deal with public cases or issues to help this country ended up doing nothing and it seems the Special Prosecutors office is no different. This was the very thing we were afraid of, that the office was just being set up as a show and an avenue to waste the tax payers’ money. It is not that we don’t hear of recent corruption allegations and criminal wrong doings and it is not that we don’t have such cases in the past where perpetrators walked free and the office of the Special Prosecutor has the mandate to bring them to book. The corrupt public officers and the politically-exposed individuals are walking freely and we the people of Ghana have waited long enough to see the results and justifications of the Special Prosecutors office. Mr. Special Prosecutor, to me, it seems like Ghanaians have wagered on the wrong guy. I am suspecting we have lodged our hopes in Martin Amidu for vain. I fear your office is just for the show of it, just to make history and not to clip offenders.